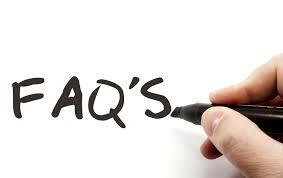 We have assembled this list of most frequently asked questions to help you learn more about our service and to help you make a more informed decision about the music entertainment at your event. Our rates vary depending upon the date, time needed, location, package chosen, your specific needs and other variables that can impact the final rate. Absolutely. It’s your wedding! While we are happy to make suggestions, you have total control over the music that is played at your event. We have clients who choose a list of songs to be played; we have clients who leave it entirely up to us. A music request form is included in our confirmation and booking information for each client. Can We Observe You at a Wedding? Out of respect for the privacy of others on their special day, we are very hesitant to send potential clients to another client’s wedding, we will take the same approach in not sending potential clients to yours. Apart from the potential inconvenience to our client, there is no guarantee that the wedding you visit will be anything like what you are looking for at yours. Please click here for recent reviews and experiences from previous clients. Can We Meet Up Prior To The Wedding To Discuss Requirements? Yes just let me know and we can arrange a mutually convenient time and place. Alternatively, you can also contact me via Skype, Face Time or Facebook Messenger. All you have to do is just contact me to arrange a time for the web chat. Yes, I hold Public Liability cover for up to €10,000,000. A copy of our current certificate is available on request.